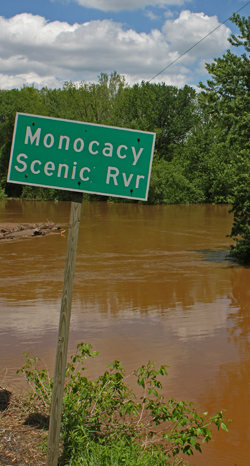 You are here: Home / Guest Blogs / Health of Monocacy River is not being taken seriously enough! Health of Monocacy River is not being taken seriously enough! I write on behalf of the Climate Change Working Group, a growing group of local citizens concerned about our children’s future. We seek to help prepare Frederick County and its residents to adapt to and mitigate the impacts of a changing climate through responsible planning, education and advocacy. We are deeply concerned that the health of the Monocacy River is not being taken seriously enough. “The State of Maryland has determined, through water monitoring and computer modeling, that most waterways in the Monocacy River Watershed do not meet water quality standards.” That quote is from the proposed Monocacy River Management Plan (p. 9-4) currently under Planning Commission review. 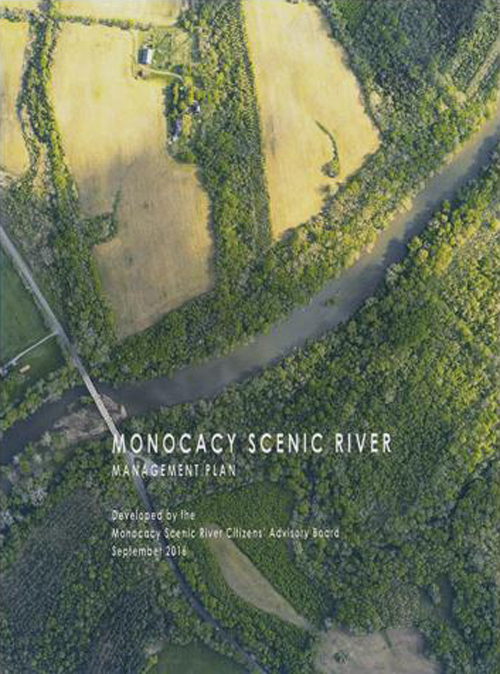 The Monocacy River connects us as a community. It supplies drinking water to 27 percent of the population of the city of Frederick, approximately 70,000 people. It provides wildlife habitat and recreational activities. Riparian buffer absorbs rainfall, replenishing groundwater, which then replenishes the water supply. Tree roots and other vegetation along a river absorb and filter out pollutants, such as excess fertilizer from lawns and farm fields. As a rather shallow river, one should be able to see the Monocacy’s bottom. In fact, the water is brown and opaque. The effects of climate change, which we are already experiencing, and a projected increase in population from approximately 250,000 to almost 400,000 by 2040 will place added pressure on the river and surrounding land. The Maryland Commission on Climate Change predicts longer dry spells and more extreme storms, producing higher flows of water and flooding. Droughts and floods degrade aquatic ecosystems and impact the food chain. 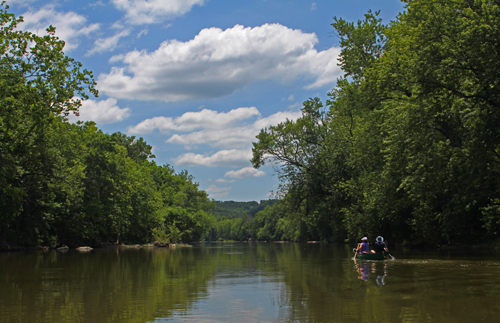 Coupled with pollution, these factors place large impediments to the health of the Monocacy. The boundary for the proposed RPA encompassed 7,605 acres along the river and would have provided the economic benefits of protecting our drinking water and mitigating the effect of storms. It would have restored aquatic habitat, including fisheries, and protected threatened and endangered species. It would have supported a healthy natural environment. This important section was removed from the final draft plan as a compromise with landowners along the river, who worried that their property rights would be legislated away and threatened a lawsuit. For the sake of providing some direction for the Planning Commission and the County Council going forward, we recommend forwarding the plan in its current state. However, both the County Council and the Planning Commission should be aware that what humans have done to the river over time has resulted in its poor health today, and continue to seek other ways to achieve more effective protection for the river, a vital source of Frederick’s drinking water.